Smart Bullet is a term that has been used to describe several theoretical and prototype bullets. According to Wikipedia, the “smart” part comes from the bullet doing something other than simply following its given trajectory, e.g. turning, speeding up, slowing down, sending data, etc. 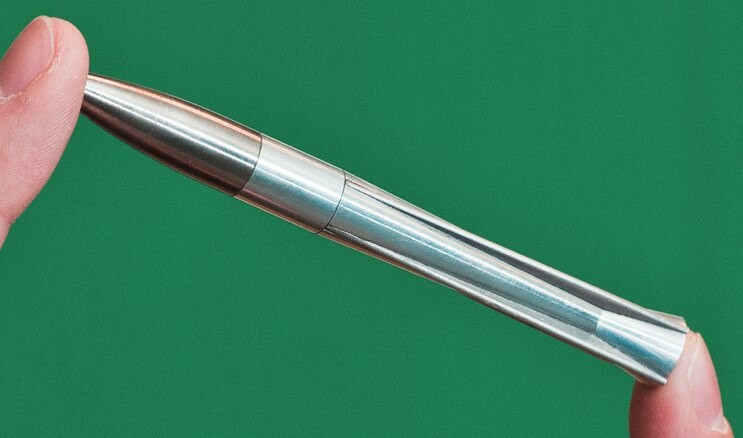 Patent number 5,788,178 for the guided bullet is held by Rolin F. Barrett Jr. of North Carolina, USA. Today there are two types of “Smart Bullets”. In 2008 the EXACTO program, (Extreme Accuracy Tasked Ordinance), began under DARPA to develop a “fire and forget” smart sniper system including a guided smart bullet and improved scope. The exact technologies of this smart bullet have not been released. EXACTO was test fired in 2014 and results showing the bullet alter course to correct its path to its target were released. Fitting EXACTO’s guidance capabilities into a small .50 caliber size is a major breakthrough and opens the door to what could be possibly in the future guided projectiles across all calibers including hunting rifles. In 2012 Sandia National Laboratories announced a self-guided bullet prototype that could track a target illuminated with a laser designator. The bullet is capable of updating its position 30 times a second and hit targets over a mile away. 50 caliber sniper rifle come to mind? The bullet contains an optical sensor, CPU, battery and electromagnetic actuated fins. It is able to track laser designated targets out to 2000 m.
DARPA, The Defense Advanced Research Projects Agency, a program from the Pentagon’s research arm, imagines and makes possible new capabilities for overcoming the multifaceted threats and challenges that lie ahead of our country. Looking back in our recent past, precision guidance and navigation, stealth, unmanned aerial vehicles, night vision, and communication and networking are among the technologies the change the face of war over the last two decades. Many people and organizations worked to make these technologies a reality. 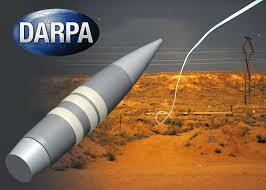 In each case DARPA made key early investments the change what was possible and started a revolution in our capability. Who is Sandia National Laboratories? Sandia national laboratories is operated and managed by the Sandia Corporation, a wholly-owned subsidiary of Lockheed Martin Corporation, for the US Department of Energy’s National Nuclear Security Administration. Sandia has major research and development responsibilities in national security, energy and environmental technologies, and economic competitiveness. They have main facilities in Albuquerque New Mexico and Livermore California. Sandia’s smart bullet utilizes a small electromagnet to control a series of fins in the bullet that keeps it on the target path. It also utilizes an optical sensor in the form of an “eye” that can detect a tiny red dot from a laser. The CPU tracks laser designated targets using the optical sensor in the nose and can make changes to its flight as often as 30 times per second. Both agencies have developed the bullet to be fired utilizing a 50 caliber sniper rifle. One can only imagine with the capabilities of nanotechnology today that it won’t be long until this technology is available in any bullet caliber. “rifled” gun barrel that has grooves to create spin. The barrel required to fire the smart bullets has no grooves. Instead, it is smooth and fires the bullet more like a dart. The bullet has a forward center of gravity and tiny fins that allow it to fly accurately without spinning. A tiny nose sensor allows the bullet to home in on laser designated targets to deliver the accuracy and range of an expert sniper. As the bullet flies through the air, it can correct its course up to 30 times per second, and its flight path also steadies the longer it’s in the air. Using Sandia’s patented system, built from commercially available parts, a bullet can hit within 8 inches of a target more than half a mile away. Unguided bullets could miss a target at the same distance by almost 10 yards. 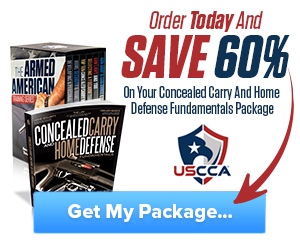 While the smart bullet is still in its infancy, the possibilities prove to be endless, not only for our military and law enforcement agencies, but also for anyone who carries a concealed firearm. 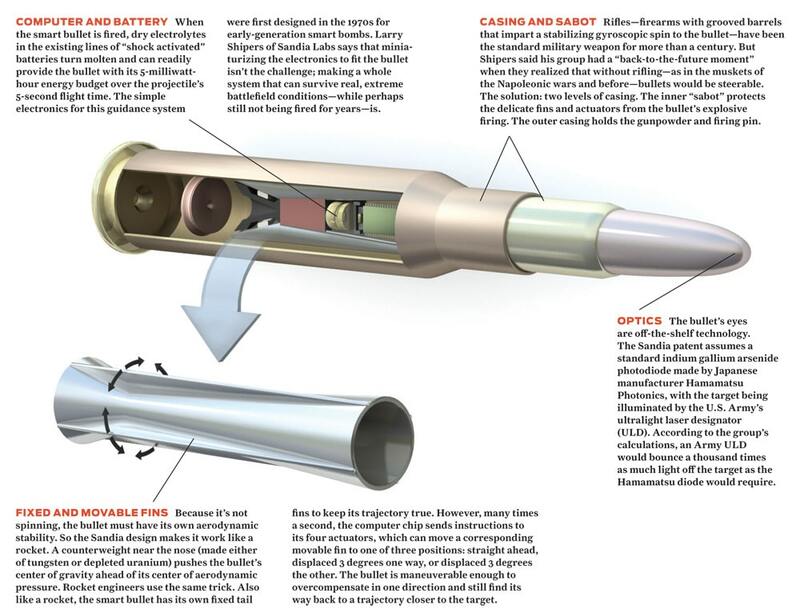 The smart bullet could eliminate any collateral or unintentional injuries to innocent bystanders. In the hunting world it would eliminate the instances of a wounded animal that would only run off and suffer. In a world that only becomes more dangerous on a daily basis, smart bullet technology cannot come fast enough! Would like updates on the smart bullet. Would this be available for the 9mm? We will continue to follow the development of smart bullet technology and update its development along the way. I’m sure eventually it may make its way into smaller rounds, but it will be a while. Hey Buddy!, I found this information for you: "Smart Bullet Technology". 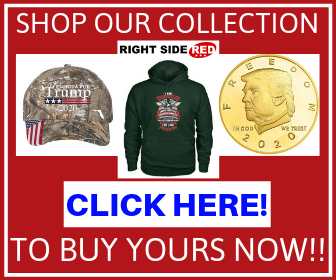 Here is the website link: https://thegunrights.com/smart-bullet-technology/. Thank you.